Marcelo E. Domine was born in Córdoba, Argentine in 1969. He obtained his Bachelor (1992) and Master (1996) degrees in Chemistry from the National University of Córdoba (Argentine). He completed his PhD at the Universidad Politécnica de Valencia (Spain) in 2003 under the guidance of Prof. A. Corma. Then, he carried out postdoctoral research at the Institute of Chemical Technology of Valencia (UPV-CSIC, Spain 2004-05), and also at the Institute des Recherches sur la Catalyse et l’Environnement de Lyon (IRCELYON-CNRS, France 2005-07). In 2008, he re-joined Prof. A. Corma’s group as a Ramon y Cajal Program reintegrated researcher of CSIC. Since 2009, he has developed his work as Tenured Scientist of CSIC at the Institute of Chemical Technology of Valencia (UPV-CSIC), Spain. His current research involves the synthesis and characterization of nano-structured materials based on supported metals and metallic mixed oxides, and their application as heterogeneous catalysts in acid–base and redox reactions, mainly focusing on the development of novel and sustainable chemical processes, such as the new biomass-derivatives transformations into valuable chemical products. He is co-author of more than 35 scientific articles published in high cited index journals and of 23 patent applications. He has presented his work in more than 50 congresses and has given 15 invited conferences. He has participated in 23 public funded projects being the principal researcher of 9 of them. He has also participated in 22 contracts with industry. 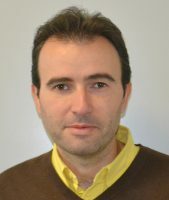 Marcelo E. Domine has been awarded with the “SECAT-Tesis Doctoral 2003”, SECAT, Madrid, Spain (2003), the “Estímulo a la Labor Universitaria 1995”, Córdoba, Argentine (1995). Participation in Editorial Committees as Reviewer of more than 35 Scientific Journals, such as: RSC Advances, Green Chemistry, Chemical Communications, Angewandte Chemie Int. Ed., ChemSusChem, Chemistry: A European Journal, ACS Sustainable Chemistry & Engineering, Journal of Catalysis, Catalysis Letters, Applied Catalysis A: Gral., Applied Catalysis B: Environ., Catalysis Today, Catalysis Communications, Catalysis Science & Technology, Chemistry of Materials, Fuels Processing Technology, Energy & Fuels, Waste & Biomass Valorization, among others; also participating as Managing Guest Editor of Catalysis Today journal (2013-2015). 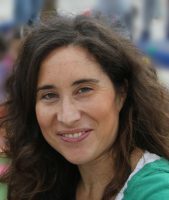 Official Evaluator of ANEP (since 2009), external evaluator of research projects of the Junta de Andalucía and of PICT projects from Argentina (since 2012), as well as member of the evaluation committees of Marie Curie Fellowships – EU Program (2014 and 2015). Since 2015 is the CSIC representative in the EERA Program (JP-Bioenergy) of the EU. Feliz Rodríguez, Marta Díaz Morales, Urbano M.